Joel Greenwald, Managing Partner in the law firm Greenwald Doherty LLP, has made labor relations and employment law the focus of his legal career. He began his career at Curtis, Mallet-Prevost, Colt & Mosle LLP, a large corporate firm with an international reputation. Not long afterwards, he founded his own law firm, with the intention of representing management on the many legal issues that arise out of the employer/employee relationship. The law firm continues to grow at an impressive pace. Greenwald has been recognized with numerous awards, including by Martindale Hubbell with their prestigious “AV” rating. He has also repeatedly been named as a Super Lawyer™, including in 2016. Greenwald has been involved in many employment-related litigations, and built a distinguished record of early dismissals, effecting significant financial savings to his clients. He vigorously defends clients against all types of claims brought by current and former employees, including those arising from allegations of discrimination, harassment, and violation of such laws as Title VII of the 1964 Civil Rights Act, the Americans with Disabilities Act, the Family and Medical Leave Act, the Fair Labor Standards Act and the National Labor Relations Act. He also aggressively pursues claims on behalf of employers who have been victims of trade secret and confidential information theft, violation of restrictive covenants and other civil wrongs by former employees. He has built a reputation for efficient and responsive representation of a clientele that includes businesses in a wide variety of fields, including manufacturing, retail, fashion, financial, advertising, entertainment, aviation, education, health and beauty, hospitality, health care, transportation, technology and the construction industry. 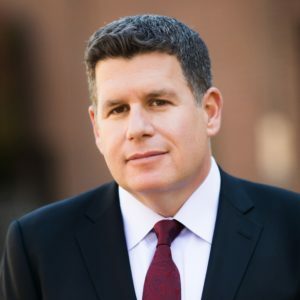 Greenwald’s clients benefit from his experience appearing in state and federal courts, and before mediators, arbitrators, and agencies such as the Equal Employment Opportunity Commission, the National Labor Relations Board, and the U.S. Department of Labor. He also represents management in the arbitration of grievances and challenges to union organizing campaigns. Greenwald has also served as a labor and employment arbitrator. One of Greenwald’s chief concepts for his boutique law firm has been to assist employers in avoiding litigation altogether, by providing consulting services that equip management with the tools needed to assure compliance with all relevant federal, state and local workplace regulations. Accordingly, Greenwald has developed an innovative variety of legal services and trainings for human resources departments that include assistance with the creation of corrective business practices and documentation, as well as training in legally appropriate interaction between management and employees. Greenwald is a frequent lecturer on labor and employment topics before regional and national trade and professional groups. He has given hundreds of presentations and keynote speeches around the United States and Canada on subjects of current interest to employers. He is often asked to give continuing legal education courses. Greenwald is a much-publicized author and contributes regular columns to various trade publications and business journals. He is also frequently called upon to provide commentary to national newspapers, television and radio on the legal aspects of labor and employment issues that are in the news. Greenwald is a graduate of Duke University School of Law in 1990, and earned his B.A. at Johns Hopkins University in 1986. He also studied at the London School of Economics.